Auch Toshiba frischt seine Notebookserien mit AMDs neuen Fusion Llano-APUs auf. In den USA sind bereits neue Modelle der Serien Satellite P700 und L700 angekündigt. Die Einsteigerserie Satellite C600 bekommt die ältere Brazos-Technik. Die Einsteigerserie Toshiba Satellite C600 startet zu einem Preis von 380 US-Dollar. Dafür gibt es aber nicht die neuen Llano-Kernkomponenten sondern die älteren Prozessoren der AMD Brazos-Architektur. Als APUs sind daher entweder ein Zacate E-350 mit AMD HD-6310-Grafik oder ein Ontario C-50 mit integrierter AMD Radeon HD 6250 verfügbar. Als Displays stehen Panels mit 15,6 und 17,3 Zoll zur Wahl. Die übrige Ausstattung umfasst 4 GByte RAM und Festplatten bis 640 GByte. Bei den Mittelklasse-Notebooks der Serie Satellite L700 setzt Toshiba bereits auf AMDs neue Fusion APUs. Das Satellite L735 kostet mit 13,3“-HD-Display 500 US-Dollar, das Satellite L745 mit einem 14-Zoll-LCD 450 US-Dollar. Für das 15,6-Zoll-Notebook will Toshiba 484 US-Dollar haben, das Toshiba Satellite L775 mit 17,3 Zoll großem HD-Display soll 580 US-Dollar kosten. Bei den Hauptprozessoren kann der Kunden neben Intels Core-i-CPUs auch die neuen AMD Dual-Core A4 oder Quad-Core A6 Llano-APUs wählen. Auch bei der Satellite-Serie P700 von Toshiba kann sich der Kunde wahlweise entweder Notebooks mit Intels Core i3-, i5- oder i7-Prozessoren und Nvidia Geforce GT 540M aussuchen, oder er wählt beispielsweise ein Modell mit AMDs neuer Quad-Core Fusion Llano APU A6-3400M und der integrierten Radeon HD 6520G. Als Displaygrößen bietet Toshiba Panels mit 14, 15,6 und 17,3 Zoll an. Bei den Massenspeichern finden sich Festplatten bis 750 GByte und optional Blu-Ray. Das 15,6-Zoll-Modell Satellite P750 lässt sich auch mit einem 3D-HD-Display bestellen. Der Einstieg bei der Satellite-P-Serie beginnt mit 629 US-Dollar für das Satellite P755 inklusive 15,6-Zoll-Display. Für das Modell mit 3D-Display werden hingegen 1.200 US-Dollar fällig. Das Satellite P775 mit 17,3“-LCD kostet ebenfalls 629 US-Dollar. Für das 14”-Satellite P745 will Toshiba hingegen 700 US-Dollar haben. 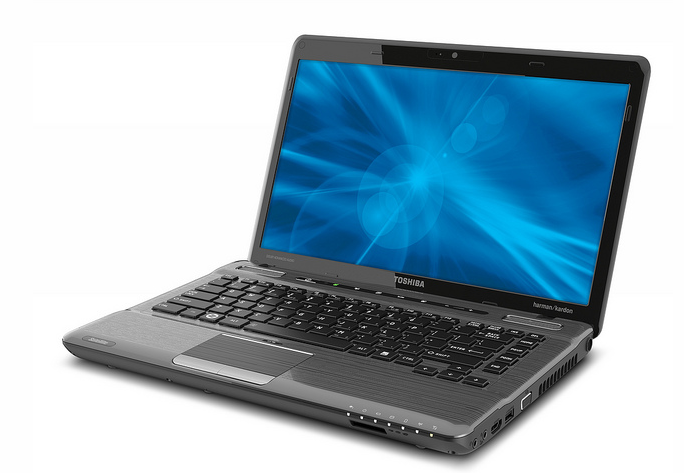 IRVINE, Calif. - June 14, 2011 - Toshiba's Digital Products Division (DPD), a division of Toshiba America Information Systems, Inc., today announced a new family of premium laptops, the Satellite® P700 Series. Available with Toshiba's textured Fusion® X2 finish in Platinum, the Satellite P745, P755/P755 3D and P775 laptops feature 14-, 15.6- and 17.3-inch diagonal HD TruBrite® LED backlit screens, respectively. 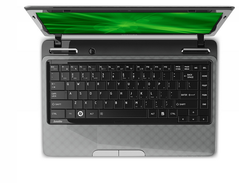 These laptops incorporate essential features for multitasking and multimedia, including latest generation of multi-core processor and technology options, plus premium entertainment and convenience features. Available with second-generation Intel® Core™ i3, i5 or i7 processors and select configurations feature NVIDIA® GeForce® GT 540M graphics with battery-saving Optimus™ technology or the all-new AMD® A6-3400M accelerated processing unit with discrete-class AMD Radeon® graphics, Satellite P700 Series laptops offer robust performance for demanding HD tasks. Additional standard features include premium raised tile keyboards, harman/kardon® speakers with sound enhancements from Dolby® and Waves Audio, an HDMI® port and a USB 3.0 port for faster data transfers and storage options up to 750GB . Latest-generation technologies, including Intel Wireless Display , 4G WiMAX™ and a Blu-ray Disc™ player are also available in select models. "The new Satellite P700 Series laptops offer users the power and features that enable them to do much more than just everyday computing," said Carl Pinto, vice president of product development, Toshiba America Information Systems, Digital Products Division. "With top-of-the-line processors for smooth multitasking, premium audio systems with sound enhancement technology for expansive surround sound and smart usability features that let users take advantage of the speakers and USB ports even when the units are sleeping or off, these laptops have it all." The Satellite P700 Series also features Toshiba's full range of "Smart" technologies, including the convenience of USB Sleep & Charge technology and Toshiba Sleep & Music , two technologies that give users the freedom to power up their smartphones and enjoy music from their MP3 players, even while the laptops are powered down. Toshiba's exclusive Resolution+® video upconversion technology breathes new life into standard-def video by seamlessly adjusting color, brightness and contrast to give video a more high-def look and feel. Additional features, including a Hard Drive Impact Sensor, PC Health Monitor and Toshiba's eco Utility™ promote laptop longevity with utilities designed to protect vital components and conserve power. Adding a new dimension to personal home entertainment, the Satellite P750 3D laptop delivers a convenient way to enjoy games, movies, photos and more – in stereoscopic 3D. Equipped with a 15.6-inch diagonal 120Hz, 3D-ready HD TruBrite display and NVIDIA 3D Vision™ technology this laptop includes a pair of wireless active shutter glasses for out-of-the-box 3D enjoyment, plus essential components or Blu-ray 3D playback, 2D-to-3D DVD movie conversion , plus output to a 3D HDTV, the Satellite P750 3D delivers a full suite of 3D enjoyment. The Satellite P750 3D will be available for a starting price of $1,199.99 MSRP . The Satellite P745 (starting at $699.99 MSRP13), Satellite P755 (starting at $629.99 MSRP) and Satellite P775 (starting at $629.99 MSRP) will be available at major retail outlets, e-tailers and Toshibadirect.com beginning June 21, 2011. Connect with Toshiba on Twitter at twitter.com/ToshibaUSA and on Facebook at www.facebook.com/ToshibaLaptopsUS. IRVINE, Calif. - June 14, 2011 - Toshiba's Digital Products Division (DPD), a division of Toshiba America Information Systems, Inc., today announced its latest line of smartly equipped yet affordable Satellite® L700 and Satellite C600 Series laptops. Designed for style, versatility and affordability in mind, these laptops deliver the performance needed for everyday computing with prices starting as low as $379.99 MSRP . Blending fashion, functionality and mobility, Satellite L700 Series of everyday value laptops are ideal for families, students and small business owners looking for a stylish laptop with plenty of power at a reasonable price. Featuring powerful processors from Intel®, including 2nd Generation Intel Core™ processors and AMD, including new dual-core A4 and quad-core A6 Accelerated Processing Units, Satellite L700 Series laptops offer great performance for multitasking, productivity and light gaming. 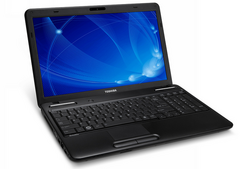 The Satellite L700 Series consists of four model classes: the highly-mobile Satellite L735, featuring a 13.3-inch diagonal widescreen display , the lightweight Satellite L745 with a 14-inch diagonal display, the versatile Satellite L755 with a 15.6-inch diagonal display and the Satellite L775 desktop replacement with a 17.3-inch diagonal display. 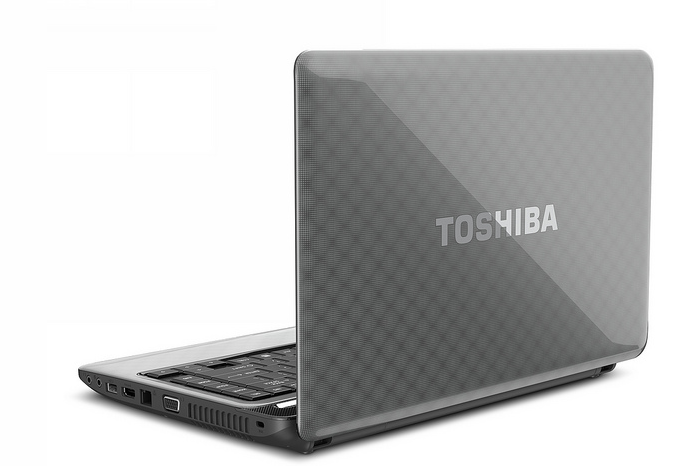 Featuring Toshiba's glossy Fusion® Finish with an all-new Matrix pattern in a variety of colors, new models all now feature USB Sleep & Charge technology , enabling users to charge mobile devices even if the laptop is turned off. The laptops will be available in a variety of colors, including Graphite, Silver, White, Red and Brown. Also, for the first time, select models of the Satellite L700 Series will be available in Brushed Aluminum Blue, offering consumers a sophisticated look that also helps resist fingerprints. Certain configurations will also feature a Blu-Ray Disc™ player and HDMI® port. 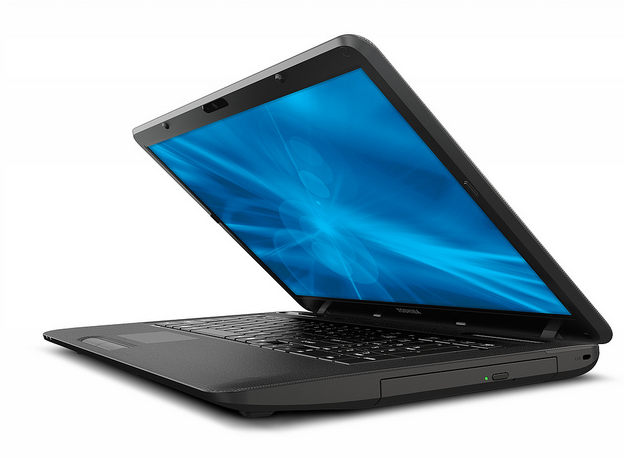 With a textured Trax finish in Charcoal, the entry-level Satellite C600 Series laptops are ideal for price-conscious consumers, students and first-time buyers looking for basic productivity at home or the office. Now available with a new 17.3-inch diagonal widescreen display as well as a 15.6 inch diagonal widescreen display, the Satellite C600 Series includes configurations with the AMD C-50 and E-350 Accelerated Processing Units2 from AMD with on-die graphics that provide rich and vivid colors, sharp images and smooth HD video playback. Configurations will be available with up to 640GB hard drives , 4GB of DDR3 memory and include two USB 2.0 ports, DVD Super-Multi drives and 802.11n Wi-Fi® . The Toshiba Satellite L735 Series laptops come equipped with a 13.3-inch diagonal TruBrite® HD widescreen display and start at $499.99 MSRP1. 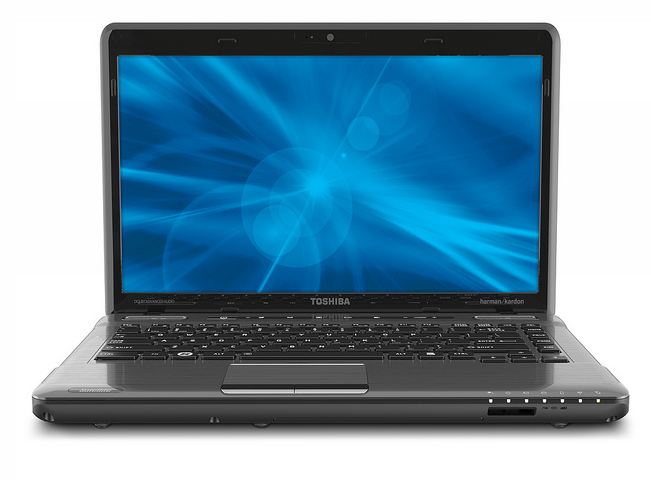 The Toshiba Satellite L745 Series laptops come equipped with a 14-inch diagonal TruBrite HD display and start at $449.99 MSRP. 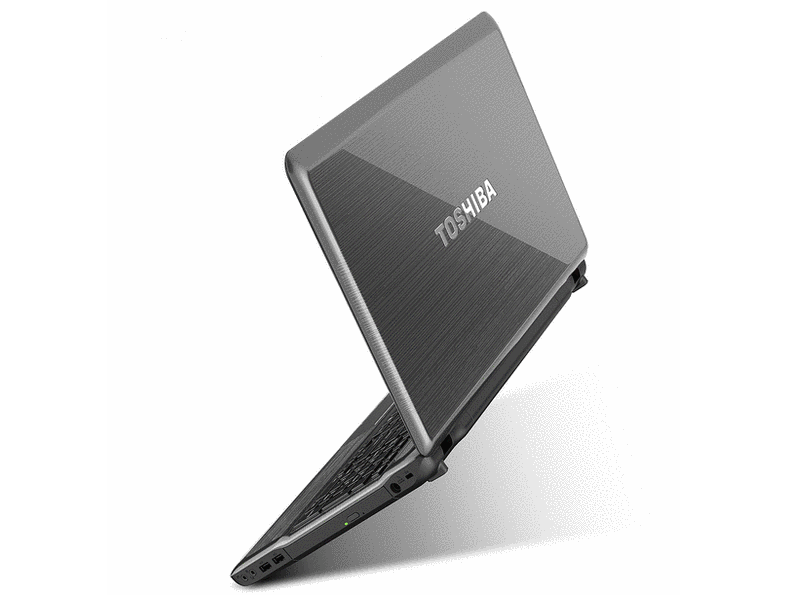 The Toshiba Satellite L755 Series laptops come equipped with a 15.6-inch diagonal TruBrite HD widescreen display and start at $483.99 MSRP. 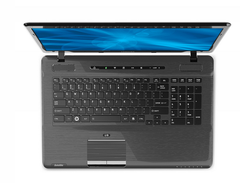 The Toshiba Satellite L775 Series laptops come equipped with a 17.3-inch diagonal TruBrite HD widescreen display and start at $579.99 MSRP. 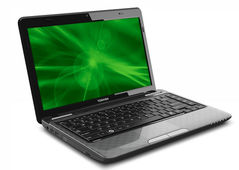 The Toshiba Satellite C600 Series laptops start at $379.99 MSRP. Connect with Toshiba on Twitter at twitter.com/ToshibaUSA and on Facebook at www.facebook.com/ToshibaUS.